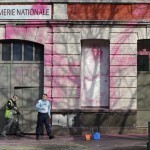 On the night of 23th-24th [March] we attacked suddenly with paint the front of the Mayor’s office, the gendarmerie [military police], the formerly occupied Mangouste and the house of hip-hop. We chose these targets to oppose the ‘regeneration’ of poor neighbourhoods and the city policy that evicts the poor, to make these neighbourhoods more profitable for developers. 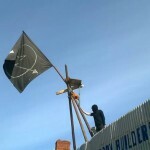 In the beginning of March, the squat Mummola, in the east of Helsinki, was threatened with eviction. 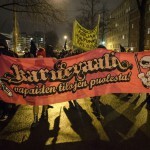 In the morning of Tuesday 3rd March, the cops and the Mayor’s lackeys of Helsinki tried to evict the squat, in vain. 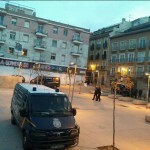 The support of many people on site prevented the authorities to achieve their aims. 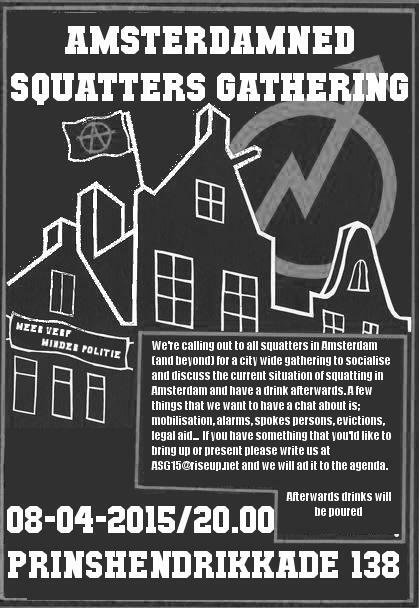 We’re calling out to all squatters in Amsterdam (and beyond) for a city-wide gathering to socialize and discuss the current squatting situation in Amsterdam and have a drink afterwards. 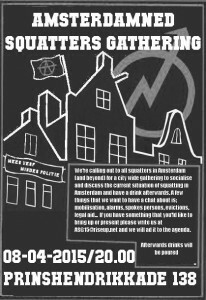 A few things that we could have a chat about are: mobilization, alarms, spokespersons, evictions, legal aid…If you have something that you’d like to bring up or present, please write us at asg15 [at] riseup [dot] net and we will add it to the agenda. Afterwards drinks will be poured. 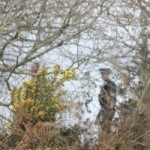 Some bailiffs arrived this morning [March 26] as promised.. they hung around a bit and then trundled around the edge of the part of the farm we are occupying, accompanied by police and trailed by some of our fantastic team of legal observers. They were unable to gain access anywhere, presumably got a bit bored and eventually left. Barnet Housing Action Group are a group campaigning around housing issues in The Borough of Barnet, North London. 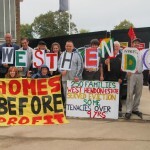 We have been working with the Our West Hendon campaign for the past year and have recently joined the Focus E15 Mums in occupying a house on the Sweets Way Estate in the North of the borough in protest against the evictions which have taken place there by Annington Homes Ltd, the owners of the houses and land. West Hendon is a council estate alongside a reservoir and conservation area known as ‘the Welsh Harp’. The estate comprises of a mix of 650 properties some secure tenancies, some private, some temporary non-secure tenants and also leaseholders. All of these homes are going to be bulldozed and replaced with 2000 luxury apartments – 214 of which – the non luxury of course – will be council flats. 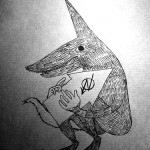 Yesterday (Friday 27th of March) we had court again, this time the judge had made a decision. He said the Injunction was successful, but he would delay it until May 4th. This means they will not try to evict us until then, but after that they will try to evict us. We are hoping that the time we’ve been given will allow people to travel to help us, and for us to raise support and prepare ourselves. Interview with a Grangegorman resident shortly after their successful resistance to the attempt to evict them yesterday. Details what happened from when the bailiffs started attacking the defenders with poles, knocked them off the gate and then drove a van into them. This level of escalation turned out to be too much even for the Garda who finally intervened to bring the non court mandated eviction to a halt. A deal was negotiated by which all the bailiffs, their vehicles and the construction workers would leave the site. The resident also talks about how uplifting all the solidarity they received from other people living in the area was, which even included small businesses and social justice organisations that help the homeless. On the 25th of March the Tabaksbanden in the Spuistraat got evicted. 16 People were arrested. As far as we know, they all got charged with public violence and/or breaking public order. All arrestees are in Zuid-Oost. This morning 2 people were released. Updates on the rest of the arrestees will follow soon. 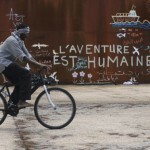 We translated our editorial from almost two months ago, which was written soon after a first, successful “March of the Peripheries”, a day in which people from working-class and suburban neighbourhoods rose along housing rights militants and activists to tackle the gruesome Lupi housing plan, preventing people living in housing occupations and squats from accessing basic services and citizenship rights. 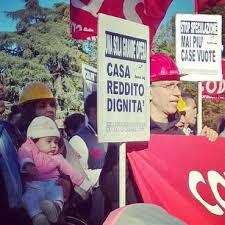 As the Lupi minister himself was forced to resign after his associate Ettore Incalza – a longtime state manager which did supervise great unnecessary works’ projects such as the TAV high-speed railway – was prosecuted for corruption, a second march of dignity approaches in Bologna and other initiatives are developing in other cities, to reaffirm the people dignity against the neoliberal austerity and the individualist dogma of the Renzi government.